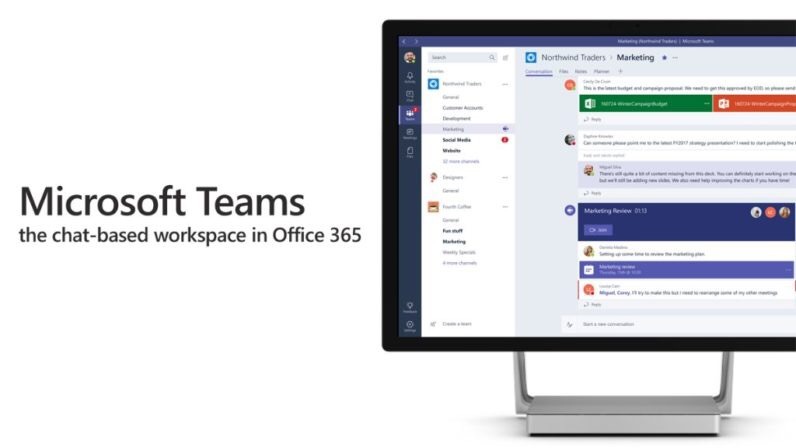 Pramit Nairi writes a great post entitled ‘Only Microsoft could make Teams’, comparing the new Microsoft Teams solution to Slack. The thing with Slack is that using it doesn’t feel like work. The UI and the experience is designed to be as effortless as possible with everything feeling natural and human. From subtle things to the more overt, the service feels likable and encourages interaction and participation. Sure, it has its shortcomings — what software doesn’t? — but at the heart of it, it is truly reimagining how things get done. It keeps the computer-y aspect behind the curtain and, consciously I’m sure, delivers an experience that feels almost magical. Yes, there’s serious stuff happening behind the scenes and serious stuff can happen when you use it right, but it does away with outdated paradigms to let you operate like you would expect to operate in 2016. To the Teams team, this was your opportunity to really rethink the meaning of how work gets done and if this is your first effort — one that I’m sure will evolve — it is so horribly off that you might want to consider going back to the drawing board for the final release. The app has everything computer software should have: folders, tabs, rich text formatting controls, notifications delivered by email to pull you back into the app, inline viewing and seamless editing of Office files, one-click access to Outlook calendar, and more. Unfortunately that’s the problem. It leans too heavily into the past and brings along all those models into something that should instead be a fresh start. 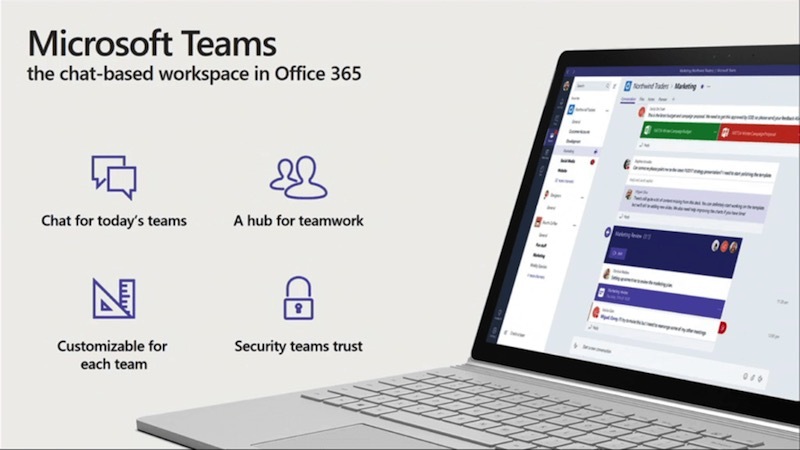 Having tested the newly announced Microsoft Teams myself over the past few days with a small workgroup, I have to say that I couldn’t agree more. It looks as though Microsoft made a checklist of the features from Slack that they felt they most needed to match, and then made a relatively rudimentary attempt to deliver these with cobbled together technology and frameworks that already existed within their portfolio. There are good elements within Teams, for sure. The onboarding process for existing Office 365 users is straightforward, the management of contacts and open chats is as easy as in any of these tools, a wide variety of security and encryption standards are supported, and the threaded nature of discussions can be easier to follow. However, the platform itself is completely absent of the friendliness and responsiveness of competitive solutions, and yells out for the whimsy that pervades the Slack product. 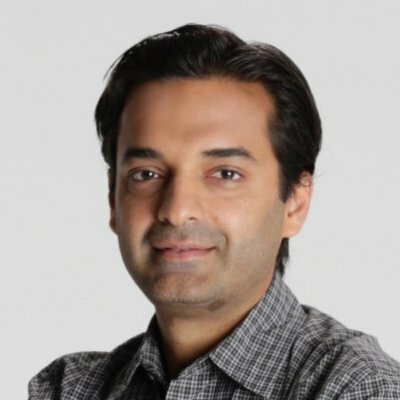 I’m sure Microsoft will sign up businesses and consequentially users by the truckload and they’ll meet the requisite KPIs to show that this is a success — defaults are powerful and CTOs/CIOs still control a lot of how work gets done — but I don’t believe this is the solution that propels work and working into the future. It’s certainly not user-centric and definitely not user-friendly. It has no heart and will not elicit love back in return. It truly is the PC and Windows in response to the Mac and MacOS. It is 100% Microsoft and is something only they can create. While there are many things Microsoft has done right and arguably functionally superior, creating software that makes people feel good when used is certainly not one of them. I can’t help but compare the initial release of Microsoft Teams with IBM’s preview of the upcoming Watson Workspace platform, and also with Jive’s Chime solution (which was recently withdrawn from marketing as a standalone solution). Whilst there are clear differences in terms of vision and intent, perhaps 90% of the features and functions across the three solutions are common – they’re all attempting to create a modern take on IM and team communications as key component of a the digital workspace. However, what is even more obvious is the target all three vendors have in their sights – Slack. Whilst predecessors like Atlassian‘s Hipchat had already shown that a cloud-based solution in this area could both support new use cases and generate sustained commercial success, it was the arrival of Slack 2-3 years ago that really ignited the concept of an IRC-style multi-channel communications network as the primary means of communication within teams. The wildfire-like viral adoption of Slack has left all the major collaboration vendors attempting to defend their territory whilst searching for a means of delivering similar functionality in a complementary fashion to their current solutions – whether that’s email, traditional IM, intranets or ESN/community platforms. In Jive‘s case this challenge lead to the development of Jive Chime, which was launched approximately 18 months ago, first as a freemium mobile-focused communications solution available to anyone with paid options for those that needed directory integration or other advanced features, then as a complementary solution alongside the Jive-n ‘interactive intranet’, before finally being withdrawn as an option when Jive restructured and refocused back in the summer. Whilst the Chime solution was very capable and gained positive feedback from customers, what eventually caused its demise (in my view) was the feeling that the model for using Chime alongside Jive-n was never clearly explained or architected in the product. The benefit of the immediacy of a rapid IM conversation conflicted with the resulting reduction of attention on discussions within the community, plus the painful loss of permanent records of decisions and outcomes from the corporate knowledge base that resides there. Whilst many integrations were discussed, white-boarded and prototyped, nothing stuck as far as an obvious means to make sense of using Chime alongside Jive-n for the wider organisation. The sum of these two parts alongside one anther was considerably less than Jive-n alone or when integrated with other services for specific use cases. Looking at Teams through this lens, I wonder if the same issue will apply within the Microsoft user base. Office 365 continues to deliver a massive portfolio of both complementary and conflicting services that enable collaboration across teams, departments and organisations. Just the small subset of Outlook/Exchange, SharePoint, Skype for Business, Yammer and Teams very clearly demonstrate multiple means of contacting colleagues. Some synchronous, others asynchronous. Some providing long-term record-keeping, others more ephemeral. Some well-suited for mobile use, others requiring the traditional client-server PC-based model. It seems that Office 365 is always in a state of flux, but Microsoft have more than enough customers for whom the traditional Office suite itself is a non-negotiable to ensure that revenues cover the uncertainty. That said, IBM’s position puts any concern over Microsoft’s place in this market into perspective. There we have possibly the most significant period of solution uncertainty in living memory. The traditional Sametime UC product suite is now well and truly sat in the ‘legacy’ category of solutions, with complex Domino and WebSphere underpinnings too expensive to deploy and even more costly to maintain, with heavy-weight Eclipse-based native apps a burden to distribute and upgrade, whilst support for modern browser standards and frameworks is lagging a long Way being modern alternatives. To fill the gap, IBM are partnering with Cisco and starting to use WebEx and Spark solutions as their go-to option for web conferences and integrations. Whilst that partnership is still taking shape, and customers are making plans for how to manage their Sametime and WebEx subscriptions moving forward, IBM announced Watson Workspace and Watson Work offerings at the recent World of Watson event. Representing the first release of the technology code named Project Toscana, Watson Workplace is currently a preview release of a Slack-style team communication service, which IBM sees as just the starting point for a new breed of cognitive/AI-boosted collaboration platform. Whilst there is clearly potential there, the preview release is missing a number of very key features that qualify as basic requirements to enter this space, let alone compete leapfrog those that have been growing their user base for years. So where does this leave Slack? All this leaves Slack untroubled at the top of the market. Still VC-funded and loss-marking, and yet winning ever greater numbers of organisations over to the concept of shifting from email to instant communications as the primary way to collaborate. Meanwhile, the incumbent collaboration vendors have it all to do. It appears that at least Microsoft has tried to purchase Slack in the past, but Stewart Butterfield and his team were not ready to sell. So, if the social communications market continues to grow, I’m sure we’ll see Microsoft and IBM continuing to invest in the space, as well as other startups racing to have a go at stealing Slack’s thunder. What we are seeing is that as well as competitors trying to usurp Slack, they are also starting to have to integrate with it – customers are demanding this to be the case. This would appear to strengthen Slack’s position even further. Where do you see this going? Do you think Microsoft Teams is enough for them to compete? Does the adage that no one got sacked for buying IBM (or Microsoft) still apply? Will Slack eventually sell out to one of the larger tech vendors, or is an IPO on the cards? Let me know where you think this market is headed. I have been wondering much the same thing myself Stuart since the announcements of Watson Workspace and Microsoft Teams. My view is that it is more about the integration than it is the features. Getting people to use these tools requires them to be a natural way to work. It doesn’t take a lot to make a tool like this more of a bother. While I like some of the concepts inside O365 the individual tools are too clunky and difficult to work with seamlessly. I suspect Teams will probably be this way for quite some time. So far after a number of years since announcing O365 Microsoft are still a long way from making the in-roads necessary for these tools to work seamlessly with a consistent UX. I have even less belief that IBM’s tool will be any better if we were to use Connections as a benchmark. Features like Watson are interesting but I am still waiting to see practical application in products like Verse. Given Slack is likely to remain the “best” tool in this category for the next 2-3 years I am inclined to build interactive teams using Slack rather than waiting for the alternatives to catch up. It is too costly to run a business on three cylinders in the hope your vendor will eventually deliver something better.